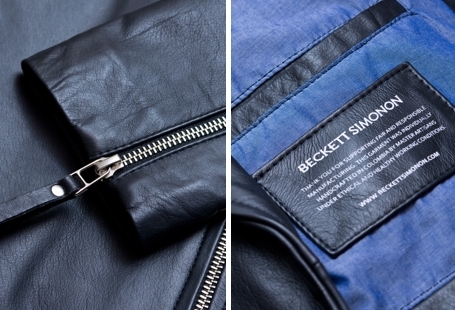 The Leather Jacket You've Been Waiting For - Beckett Simonon | Valet. The leather motorcycle jacket is a piece that's worked for punks and motorheads alike and it's definitely having a moment in menswear. From high-end European designers to mass-market labels and everyone in between, there are all types of options out there. But it seems like you have to compromise when buying one. Either you shell out well over a thousand dollars for quality or you find a bargain at a fast fashion chain and risk the thing falling apart in less than six months. But Beckett Simonon, the direct-to-consumer brand known for their reasonably priced fine footwear, has just done what seemed impossible. 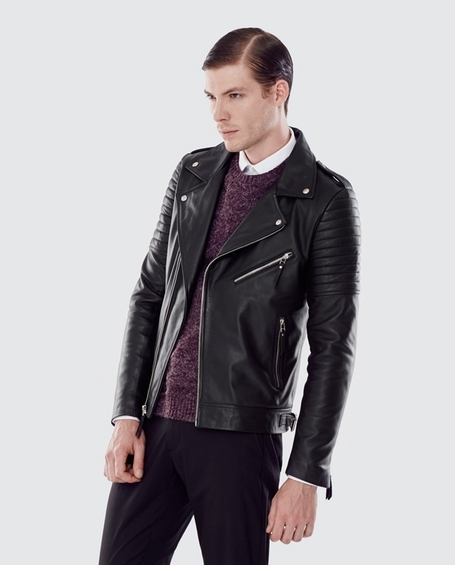 They've introduced a collection of handmade leather jackets at prices that almost seem to good to be true. For the next few days, they will be selling their new biker jacket for just under $300. It's a pre-order, offering a 50% discount off the retail price. After that, the discount goes to 40%, then 35% until the end of the month. The idea is that the earlier you buy, the more you save. Once the campaign closes, manufacturing begins and in six to eight weeks, the jacket is shipped directly to you. Individually handmade in Colombia, the jackets are crafted from locally-sourced calf leathers in a family owned and operated factory. They're finished with full cotton lining, ribbed cotton cuffs as well as sturdy YKK zippers. And if the motorcycle cut isn't your style, there's a leather bomber offered at the same price with the same quality construction and details. Next month, the brand is going back to its roots and introducing some impressive Chelsea boots and whole cut derby shoes. How Beckett Simonon re-examined every detail of their shoes to make them fit better. Nearly two dozen of the season's best leather and suede styles.